The Wave Rider is Here! Designed by Connie Jasinskas, produced by Hydro Fit. Click on a picture below to order yours. Wave Rider provides stable, comfortable, adjustable pelvic flotation for deep water and suspended vertical aquatic exercise. Download the instruction sheet below to learn about optimal noodle selection. As our society ages, many people seek ways to stay active, in spite of pain, chronic illness or movement limitations. 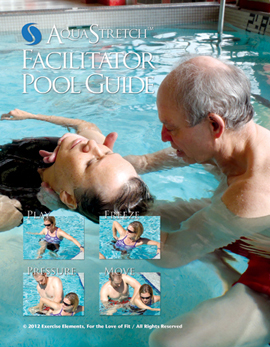 AquaBility training helps aqua fitness instructors create safe, comfortable exercise sessions for people requiring adaptations to regular programming. The exercise and class design parameters taught in this course are effective for gentle aqua fitness in warm pools: 31 – 35°C (88 – 95°F), as well as recreational pool classes with temperatures: 28 – 30.5°C (82 – 87°F). This course prepares instructors to teach people with a range of movement abilities and health conditions. Eliminate the expense of travel. 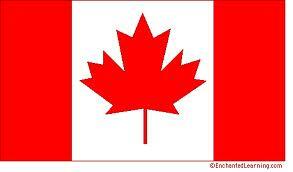 Outside Canada / Continental USA, please fill out a contact form with purchase request details to determine shipping costs. The Aquanatal manual delivers research-based, practical information for personal trainers, aquatic exercise leaders and health care professionals providing aquatic exercise for women during the childbearing year. It is designed to help users plan, create, and lead safe, enjoyable and effective aquatic exercise suited to this population. This manual includes comprehensive information regarding the changes during and after pregnancy that impact exercise, as well as the benefits of activity – particularly aqua fitness – for the expectant or postnatal woman. 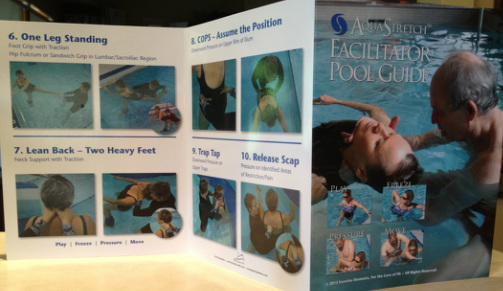 The term Aquanatal exercise is used throughout the manual to refer to a system of aqua fitness movements (vertical aquatic training) and techniques ideally suited to the pre / postnatal exerciser. The forty weeks of pregnancy and the postnatal period that follows will be referred to as the childbearing year. The information in the Aquanatal manual is essential for instructors who have pregnant participants in mainstream classes, or for those who design and teach activity programs specifically for pre and postnatal women. Aquanatal training will not address the issues associated with swimming during pregnancy, or adult and infant aqua fitness programs. The benefits and effects of exercise on the pregnant exerciser and her unborn infant. Anatomical, physiological and psychological changes that impact aquatic exercise during the childbearing year. Benefits and advantages of Aquanatal exercise as a training modality during the childbearing year. The safety and comfort of various aqua fitness movements during and after pregnancy. The health risks and modifications for aqua fitness instructors during pregnancy. Considerations for the postnatal aqua fitness participant. Important aqua fitness class design considerations for the childbearing year. Contact Connie Jasinskas directly to inquire about discounts for bulk orders as well as training workshops / courses for groups or individuals. 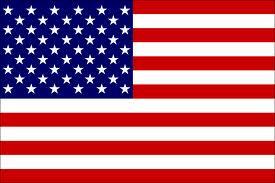 Fill out a Contact Form from this website. Photos are in colour, large and clear (see photos of the open guide below). Each panel is approximately 8.5 x 11", allowing easy storage in standard paper-carriers. The fold design stands independently in indoor environments. Where wind is a factor, an anchored, clear lucite holder is recommended (office supply). This book was created to be a joyful resource for people going through cancer diagnosis and treatment. While it shares the view of a breast cancer survivor, it applies to any life crisis. Prescription Laughter encourages readers to joyfully embrace the life we have – to move, love, laugh, and live, as we seek a healthier future. 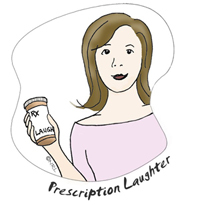 Artwork and graphic design for Prescription Laughter were lovingly provided by Nathalie Lemieux, a fellow survivor-thriver. Copies of Prescription Laughter can be ordered by contacting the author: Connie Jasinskas via the contact page on this website. Having known Connie, personally, and professionally for a few decades, this book is the manifestation of her ability to put complicated, far reaching research, knowledge and experience into straightforward, practical, useable terms and vocabulary. Her underlying sense of humour is always a bonus since it's never good to take life too seriously and science has documented that this attitude is, indeed, a good one. You couldn't find a better place to experience a balance of personal disclosure, humour, research, advice and onwards connections for your personal use in what is, a time of crisis. This is such a great book that helps put life in perspective when you've been diagnosed with breast cancer. There's nothing like humor to shift thinking and no one is better at humor then Connie. What a great book. Connie, you are a testament to the resilience of the human spirit. It is so much better to laugh than cry and so much better to hope than despair. This book was created to be a joyful resource for people going through cancer diagnosis and treatment. While it shares the view of a breast cancer survivor, it applies to any life crisis. Price includes $5 S&H in Continental North America. Other locations, use the contact form above to ask about costs for your location.